There’s no place like home for the holidays, but you have to get there first! Whether your road trip to Grandma’s house is 3 hours or 13, you’ll want to be sure your vehicle is running right. 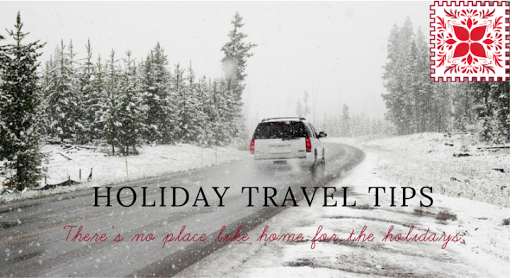 We at Buyer’s Choice know that your car and time are valuable so we’ve compiled a list of Holiday Travel Tips to make your travels this holiday season as easy as possible. Make sure that your car’s oil and fluids are topped up. Be sure your tires are safe and your brakes are good. If your trip is going to be putting a lot of miles on your car, check to see when your next oil change is due. If it’s soon, it’s best to get the oil changed before making your trip. If you need to get your oil changed, be sure that they rotate the tires and check your brake pads. Cleaning your car out in preparation is also a good idea. Take your car through the carwash and vacuum it out. Remove all trash and items that are unnecessary. Having a freshly cleaned car will help to put your mind at ease and feel less stressed when you’re packing the car and getting ready to leave. If you don’t have a GPS or smartphone make sure you’ve got the directions you need. Be sure to look over all your options and choose accordingly. Print them out and make an extra copy! If you do have a smartphone, there are plenty of apps that give directions. Apple Maps and Google Maps are pretty standard but there are other apps like Waze that offer additional features besides directions. Waze is a community based app that relies on input from others within the app to give you real time updates and alerts about your route. It can tell you when you’re approaching police, road hazards, accidents or traffic jams. It can also direct you to the cheapest gas station near you. Gas Buddy is another great app that compares gas prices around you to show you the cheapest. Both apps are helpful and free! Make sure that you leave early and give yourself plenty of time to get to your destination. If possible, avoid leaving at peak travel times. If you hop on the highway at 5pm to start your trip, chances are you’re going to hit both holiday and work traffic. The early morning and after rush hour are better options. Also be sure that you consider the timing of your total trip, noting if you’ll be near any large cities with traffic you may want to avoid and plan accordingly. We hope that your holiday season is filled with joy, family and as little traffic as possible. If you aren’t sure that your vehicle can make the trip to Grandma’s this year, come see us at Buyer’s Choice and talk to us about getting into any one of our awesome pre owned vehicles. At Buyer’s Choice we do our best to provide quality pre owned vehicles at reasonable prices, regardless of the current state of your credit. Call us at 843-225-7044.